Senate president Bukola Saraki has described Thursday’s rerun election held in Osun State as a total sham and the biggest electoral fraud in the history of the country. The Senate President consequently called for the cancellation of the result, especially in view of the complaints made about the supplementary election. Saraki, who is also a presidential aspirant in the Peoples Democratic Party (PDP), stated this while addressing journalists during his campaign tour in Kaduna State. 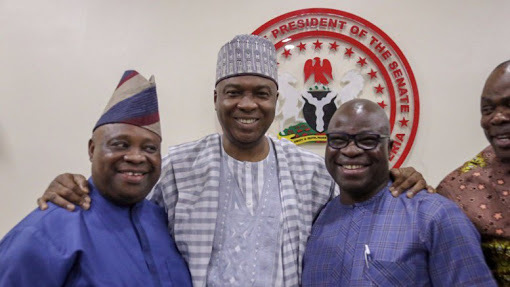 Saraki accused the All Progressives Congress (APC) of rigging the election, stressing that the Candidate of the PDP, Senator Ademola Adeleke, ought to have been declared the winner by the Independent National Electoral Commission (INEC) on Sunday. This, he said, is because Adeleke had polled the highest number of votes based on the vote count on Sunday.